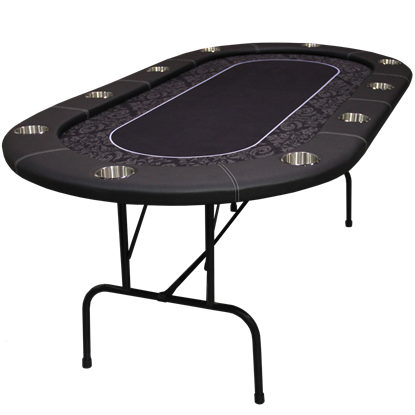 Oval-shaped poker table for 10 players comes with metal folding legs. Supreme cloth felt and removable arm rest to change your cloth. This table is made with solid 3/4''plywood with steel frame under the table.